D-NOSES aims to kickstart a much needed collaborative journey to tackle the problem of odours at a global scale by developing coordinated local case studies in 10 European and non-European countries for validating methodologies and producing DIY guidelines for project replicability. The pilot studies will apply and evaluate the proposed methodologies and tools for stakeholder engagement and the co-creation of possible solutions. The pilots will be chosen and fully defined in due course as the project progresses. Here we present some of the early proposed pilot cases. The Forum Area is located in the south-east end of the city of Barcelona, by the coastline. The area was renewed in 2004 alongside the celebration of the “Forum of the Cultures”, a global event on sustainable development, peace and cultural diversity. It was a controversial process due to the massive high-level property building and coastline changes involved, although from an urban planning point of view, it was a clever movement because it allowed to bring the Diagonal Avenue (one of the main city arteries) up to the sea and to revitalise a traditionally depressed area. However, the odour emitting activities already present in the area, treating more the half of the urban solid waste and the wastewater generated in the city, were not acknowledged. The area contains several waste treatment facilities, such as a bio-methanisation integral waste treatment plant, a waste incineration plant, and a pneumatic collection station; plus a covered WasteWater Treatment Plant (currently underneath the Forum Plaza), with a treatment capacity of 3M inhabitants, the biggest in Catalonia; and a wastewater sludge treatment plant. The odour problems caused by these plants are well known in the city, and depending on the time of the day and the meteorological conditions, one can smell fresh wastewater, sludge, fresh waste, decomposed residue or biogas. The communities living nearby have been complaining about these problems for many years. The variety of the odour emitting sources and the area’s demographic, socioeconomic, cultural and urban diversities makes this case study a complex and challenging one to validate the D-NOSES methodology based on citizen science to improve environmental odour management. The Region of Central Macedonia (RCM) is the second most populous in Greece after Attica. RCM is also a very important region in terms of economic development producing various agricultural products, hosting industrial activities, services and tourism. One of the refinery plants of Hellenic Petroleum is in the region and very close to the metropolitan area of Thessaloniki, the second biggest city in Greece. The refinery was established in 1966 and the population at that time was ca. 5.000. Now days the population is ca. 100.000 (census 2011) in an area of 13 km2 and the current distance from the urban area is less than 500m. The social characteristics of the area comprise of working class consisting of people who are employed for wages, especially in manual or industrial work, with an average GDP per capita of 14.000€. Major stakeholder is the Region of Central Macedonia (RCM) who deals with a serious environmental and social issue. The Municipality of Kordelio- Evosmos is another stakeholder along with the Citizens of the municipality that are organized in the Facebook group, ‘Breathing is our right’. The Refinery is also an important stakeholder that needs to deal with the complaints. Technical University of Thessaloniki finally provides consulting services and performs ambient air quality monitoring. The rapid increase in living standards and the growth of the restaurant industry in Sofia has caused a constant increase in the amount of daily food waste.The growing bio-waste fractions in municipal solid waste (MSW) caused widespread complaints from residents in the past. After investigation it became clear that food waste was one of the main contributors to odor emissions. The process of collection, transportation and disposal of the food waste was found to be causing secondary pollution. The Mayor proposed a plan to organize a municipal system for separate collection of bio-waste from the maintenance of public areas, parks, gardens, spaces between spaces, food and kitchen waste from restaurants, catering, commercial and other objects within the municipality. When the system was introduced it included all schools, kindergartens, catering establishments, markets, hotels, medical establishments and other sites where food and kitchen bio-waste are formed. This system has been operational since 2014, and up to September 2018, the system has collected the bio-waste from more than 660 objects with more than 1085 containers. However, the businesses that were included in the separate bio-waste collection system are now arguing that they need for more frequent servicing of the containers due to unpleasant odors that develop in between collections. This, from the point of view of the Municipality, is financially inefficient and impedes the expansion of the system. With the D-NOSES approach the Municipality aims to measure the extent and impact of the reported problem. They can then investigate what possible solutions would be practical and appropriate. Portugal presents cases of pollution by odours especially related to industrial activities, concentrated and restricted to specific areas. The pulp and paper industries are a significant source of odours in Portugal and have the particularity of being distributed throughout the country. The two pilot studies that will be carried out in Portugal, under the D Noses Project, are, one in the Porto area – lead by LIPOR – and the other one in São João da Madeira, – lead by São João de Madeira Municipality. 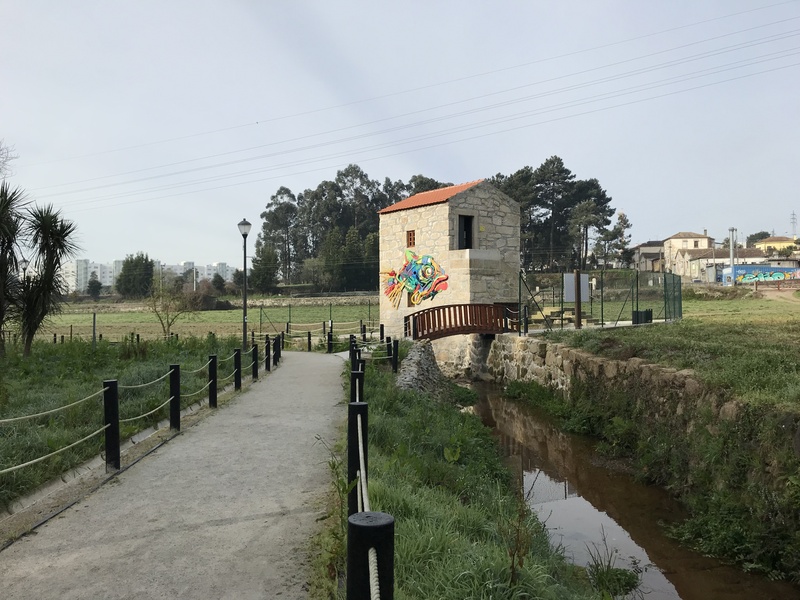 The first pilot is related to the Porto Metropolitan Area and the “Rio Tinto Ecological Trail”. This project aims to define a joint plan action for the rehabilitation of the Tinto River. It is an atypical case, selected because odour is a fundamental parameter that can diagnose and be used to track other environmental problems such us illegal discharges. The Rio Tinto river presents nowadays serious pollution problems with sources mainly in the Ermesinde city. There are clandestine discharge sewers in the head of the river and suspected infiltration of untreated water from the landfill (also closed) and of the Wastewater Treatment Plant of the Rio Tinto City. All these factors have contributed to high levels of pollution in the river. The objectives of the Project include registering polluted areas, monitoring the evolution of water quality, provide scientific and experts’ advice, identifying the interventions that are necessary to recover the river and to define sustainable future uses, such as the construction of an ecological trail. To this end, a Monitoring Program for Evaluation of Water Quality and Sediments from Rio Tinto is in progress and aims to contribute to the identification of the causes of degradation of water quality. Identifying bad odours along the ecological trail by the citizens that cross it, will allow us to discover more sources of related environmental problems and to involve the citizens in the resolution of the problem. The second pilot is related to an animal by-product processing plant that has been causing odour nuisances in the municipality of São João da Madeira, located 1,3 km away from the city centre. The whole surrounding area has been affected, in a radius that extends for several kilometers, depending on the orientation of the winds and atmospheric conditions and has consistently reached other municipalities including Santa Maria da Feira. These processing plants continue to generate controversy between the population and its administration. While everyone recognizes their economic value and the wealth they create in jobs, it is no less true that the odour emissions far exceed the radius of the 1 kilometer limit that their managers claim they achieve. Several actions have been put in place, but the situation persists. A private mapping platform (Odourmap) was used from 2013 to 2015 with the collaboration of the citizens, who were disappointed after their crowd-sourced data had no relevant effect. In 2016, a social movement of protest achieved to gather 5000 signatures and submitted a request to the Assembly of the Republic of Portugal, which decided to issue the resolution 190/2017 recommending the government to take the necessary measures to solve the environmental problems.